I’m originally from the North East of England and as a result I was born with a love of pastry in all of its beautiful forms. Northeasterners are extremely skilled at working all types of pastry into divine concoctions. They can make delicious steak pies, mince pies and chicken pies. They can also create outstanding apple turnovers and jam tarts. However, for all that they are great at creating these wonderful delicacies, in my eyes none of these pastries compare to the humble plate pie. 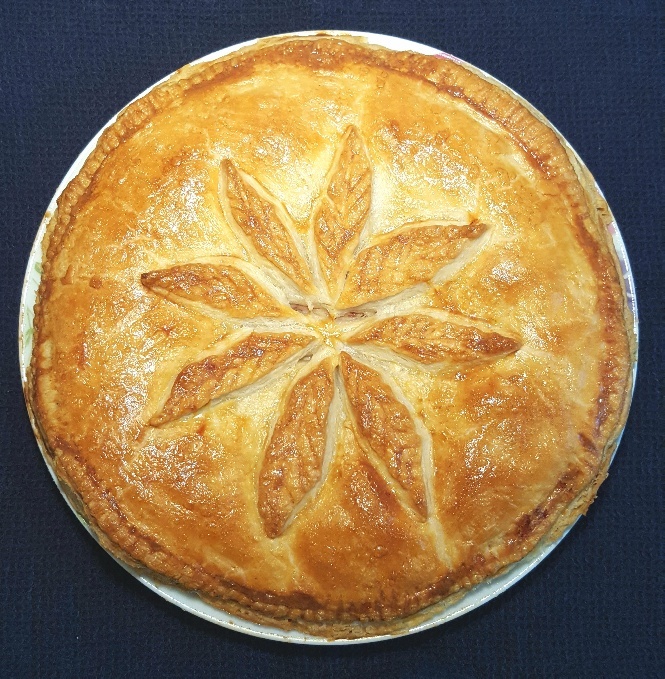 Plate pie is exactly as it sounds – a pie baked on a plate, with the gentle sloping curves of the plate helping to contain the filling within a pastry casing. My Mum and Dad (both of whom are Northeasterners) are masters of the plate pie, just as their own parents were, and frequently make them for family gatherings. They often make plate pies filled with minced beef and onion, which is delicious, but my favourite is their corned beef and potato pie. Once upon a time, it would have been necessary to peel and boil countless potatoes to make the mash for this pie, but the invention and ease of access to cheap, good quality ready-made mashed potato in our supermarkets has made the creation of this pie a much faster task than it ever was. The same can be said about the convenience of picking up a pack of ready-made (and even ready-rolled) puff or shortcrust pastry instead of having to go through the palaver of making your own. We’re truly living in exciting times, my friends! 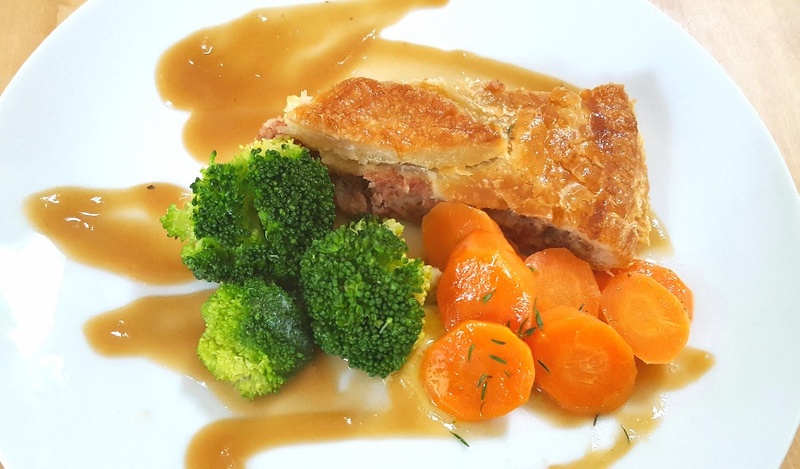 For all that it’s now July, on the day I’m writing this the weather is, as the Scots would say, ‘dreich’ (drizzly, overcast and cold) and I’d highly recommend making this plate pie on a day such as this. The lovely warmth of the fan oven is gently circulating around the kitchen and the scent of the pie cooking is reassuring me that a good dinner will warm me up even further very soon. I’m going to serve it with steamed broccoli, thyme-infused carrots and a ‘stick to your ribs as it goes down’ rich beef gravy. And now I think of it, I’m sure there’s some rhubarb and ginger crumble left in the freezer that we can have with warm custard. Shall I set another place at the table for you? Get a large, deep dinner plate or a pie plate and keep it to one side. Put the corned beef, mashed potato, asafoetida and ground pepper into a large bowl and mash together. Cut your puff pastry in half and keep one half aside. Roll one piece out on a floured surface until it is the right size to fit comfortably on top of the plate with a little hanging over the edges. Put the beef and mash mix in it and smooth it out, leaving 1 cm around the edges bare so you can seal the pie edges later on. Roll the other piece of puff pastry out until it’s the right size to fit on top of the pie. Bake in the oven for 30 – 35 mins until the pastry is risen and golden brown.